ClearWater Farm is open to the public for spur of the moment visits on Friday from 3pm to 6pm and on Saturday from 8am to 12pm. Should you wish to organize a visit at another time, please contact us at info@clearwaterfarms.ca. 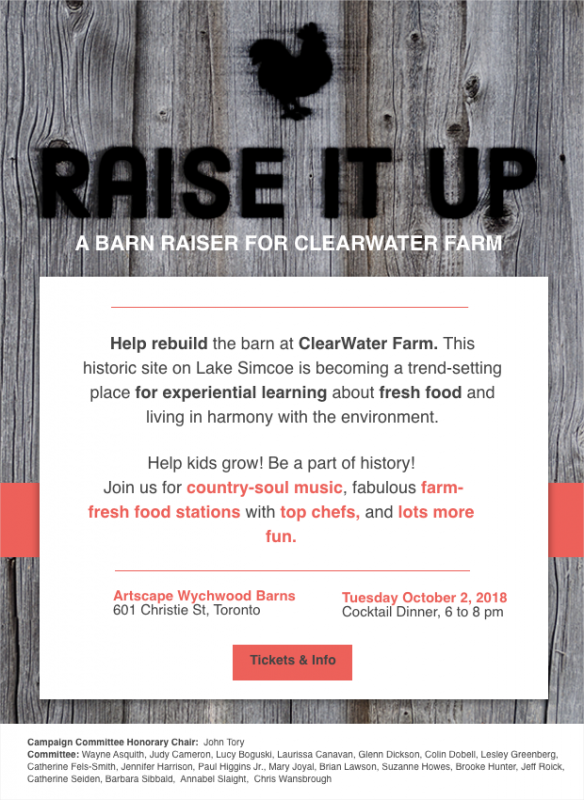 As an operating farm and event centre, ClearWater Farm hosts dozens of pre-arranged visits and events with a variety of organizations. The following special events are currently scheduled. Click here to be notified when other events are added to this list.